The latest in women's runners. The adidas Pure Boost line is picking up steam again, with leaked images showing off some upcoming models and adidas promising this week the debut of a new women's silhouette. 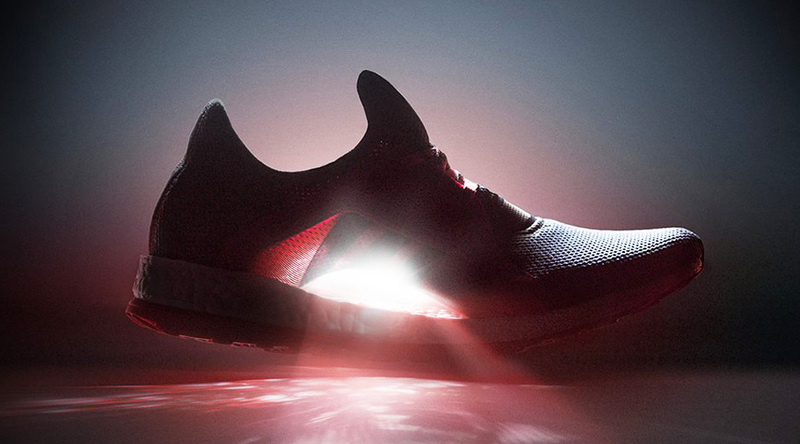 The model, called the adidas Pure Boost X, has full-length Boost along its midsole and one of the more unique uppers recently seen on a runner. The arch is hollowed out, a design choice that presumably has to do with its status as a women's specialty runner. Watch for a detailed breakdown of the adidas Pure Boost X here on Sole Collector soon.